The Special Astrophysical Observatory of the Russian Academy of Sciences (SAO RAS) was founded in 1966. It is the largest Russian astronomical center for ground-based observations. SAO RAS combines the largest optical and radio instruments available for astronomical community. The telescope time is allocated by the Large Telescopes Program Committee. 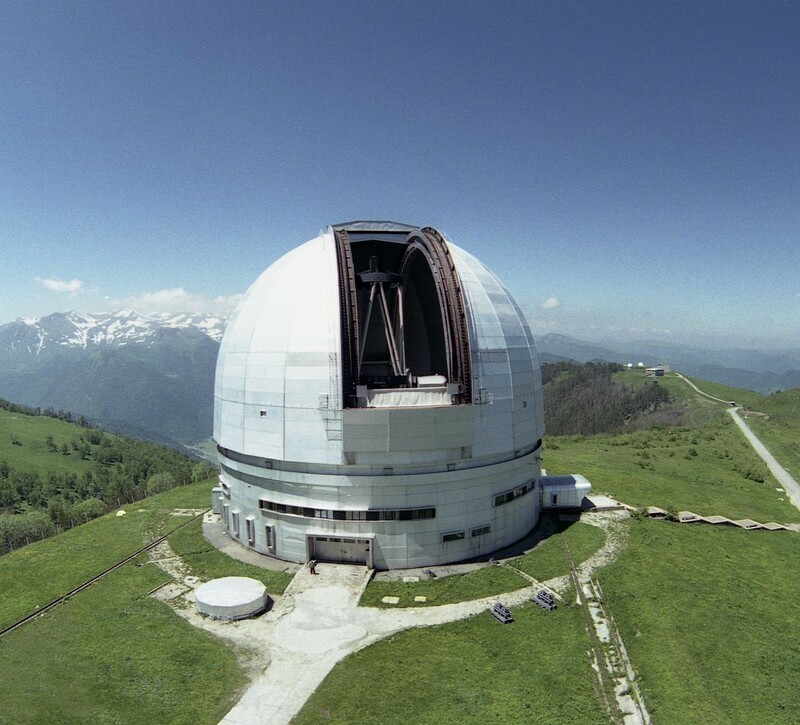 The main optical instrument, the Big Telescope Alt-azimuthal (BTA) is the 6-meter optical reflector located on the summit of Semirodniki mountain (2070 m above sea level). It is accompanied with small 1-m and 0.6-m telescopes. The telescope neighborhood provides breathtaking view on surrounding landscapes. 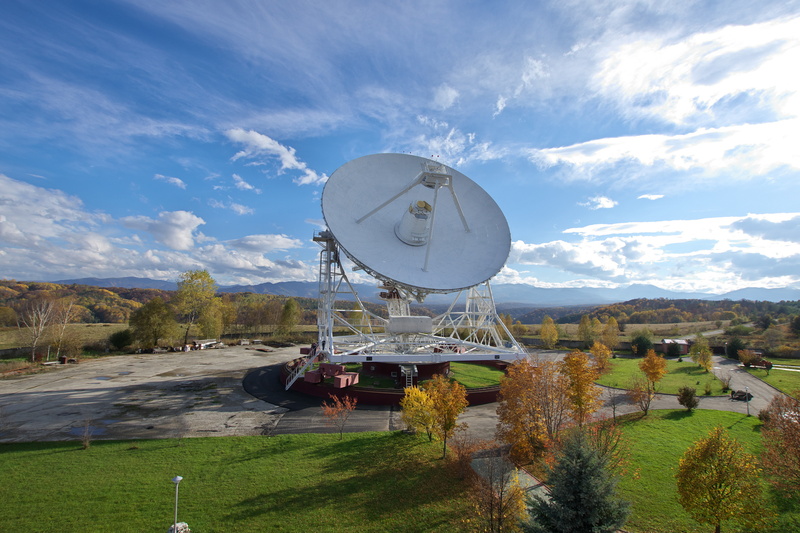 The RATAN-600 radio telescope (abbreviated from the RAdio Telescope of the Academy of Sciences) has an original design as a 600-meter ring antenna consisting of 900 individual shields. It is well seen in the southern part of Zelenchukskaya village. The conference will be held in Nizhnij Arkhyz (Karachay-Cherkess Republic, Russia) at the campus of SAO RAS, which is located in the valley of the Bolshoy Zelenchuk river at a height of 1200 м above sea level. SAO RAS is located in the western part of the North Caucasus in the Karachay-Cherkess Republic. The Greater Caucasus spans over 1200 kilometres from Black to Caspian seas. The Caucasus is a resort area, a center of tourism and mountaineering. Mount Elbrus (5642 meters) is the highest mountain in Europe. Our observatory is 90 kilometres away from Mount Elbrus. The Caucasian Biosphere Reserve is the largest and oldest protected area in the Caucasus, in which some species of Tertiary plants and rare animals are preserved. The nearest airport is Mineralnye Vody (MRV) in 190 km away from SAO RAS. Most international flights have a connection in Moscow or St. Petersburg. The nearest train station is in Nevinnomyssk in 130 km far from the observatory. LOC will provide transportation from the airport or train station to SAO RAS and return back. Foreign guests arriving in the MRV airport through Moscow, please, be careful choosing Moscow airports: Vnukovo (VKO), Sheremetyevo (SVO) and Domodedovo (DME). Please contact LOC in advance if you need some help with logistics. The program of the meeting will include a time for outdoor activities. This time will be devoted to excursions to the SAO main facilities: the BTA and the RATAN-600 telescopes and to the ancient capital of Alania with the 10th century churches, and/or to the mountain resort Arkhyz. Nizhnij-Arkhyz Churches are three Christian churches built in the 10th century in the river Zelenchuk ravine near the present Nizhnij Arkhyz. This site is tentatively identified as the medieval capital of Alania, a Christian state destroyed by the hordes of Möngke Khan in the 13th century. Alaniс Culture Museum in Nizhnij Arkhyz was founded in 1996. 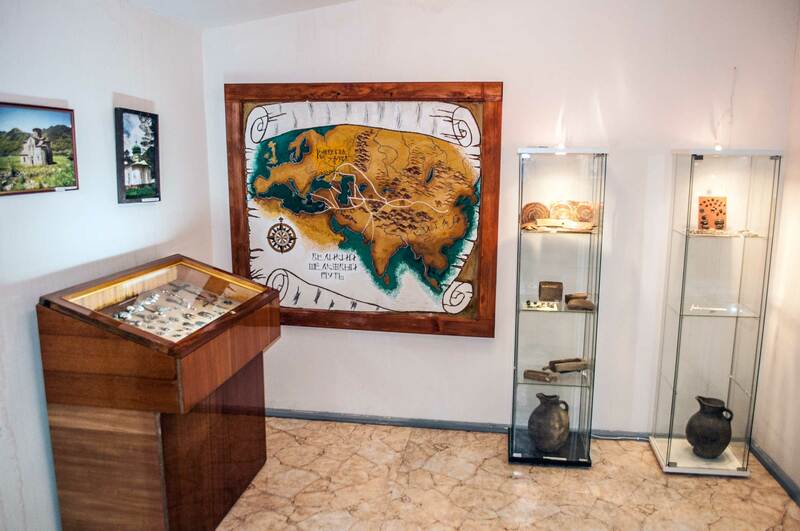 It gathers the largest collection of the Alanian artifacts (5th - 12th centuries) in the world. 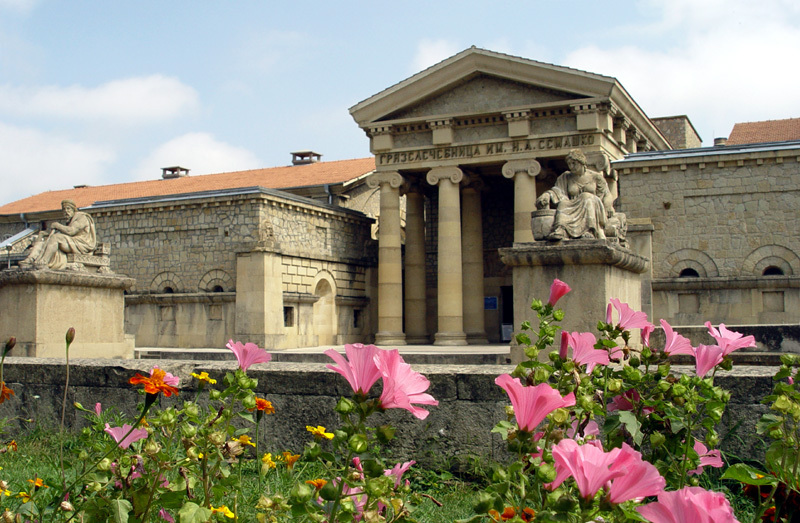 If you are fond of old history or fascinated with the ancient temple stones, visit the museum to see the pottery, tools, weapons, and jewelry to imagine the medieval everyday life and history of the North Caucasus in details. 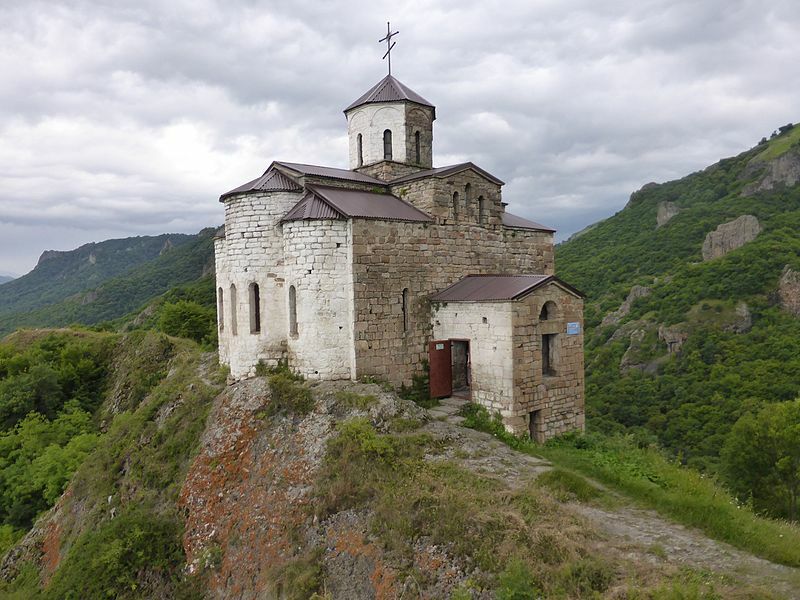 Arkhyz is a highland region in between branches of the Western Caucasus lying in about 25 km from Bukovo. Visit Arkhyz to admire the stunning landscapes, clear mountain lakes, and majestic waterfalls around. There is also an alpine ski center "Arkhyz". It provides the ropeway lift at 2240 meters above sea level. 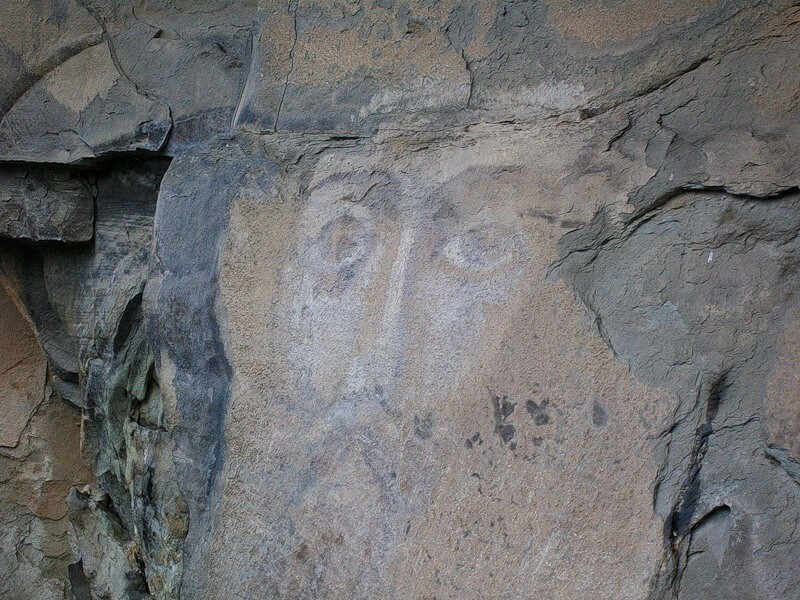 Rock-painted image of Christ was discovered in 1999 near Nizhnij Arkhyz across the Zelenchuk river. Depicted in a stony niche high up the rock it attracts pilgrims. It was dated 19th century, while Church prefer to date it about X-XII centuries. Shoana church is located at 51 km from Nizhnij Arkhyz, in the nearby ravine of the Teberda River. The church constructed in the late 10th century according to Byzantine architectural traditions is surrounded by an ancient settlement and burials as well. 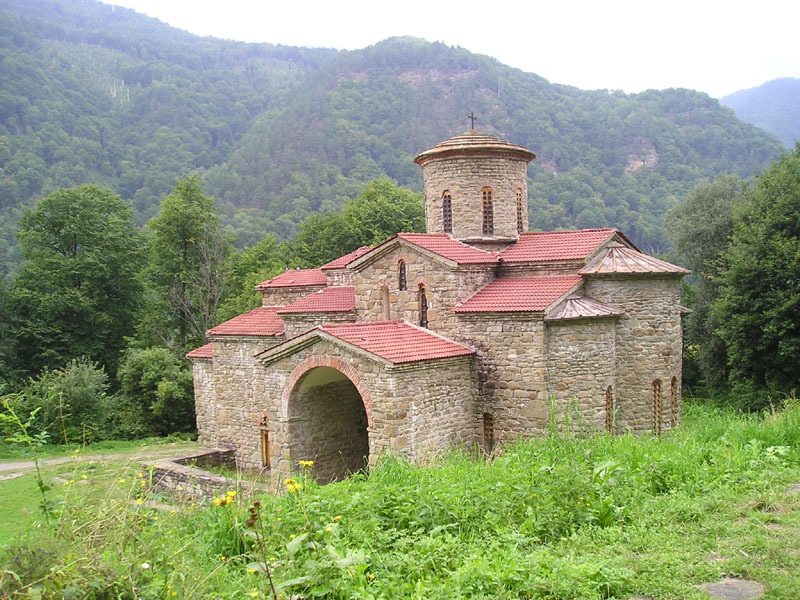 The traditional Byzantine architecture and old stones are harmoniously inscribed into the landscape, so the church seems to be a part of the mountain nature. 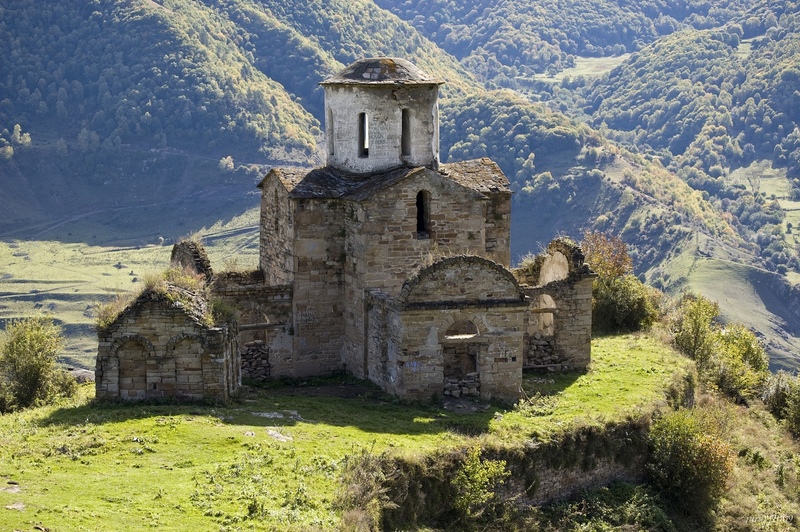 Senty Church is a Christian church built in 965 on the left bank of the Teberda River. Almost ruined, it saves the traces of frescoes with the faces of saints. Leso-Kefar’ settlement is a historical monument to various cultures such as Alanian, Sarmatian, and others. 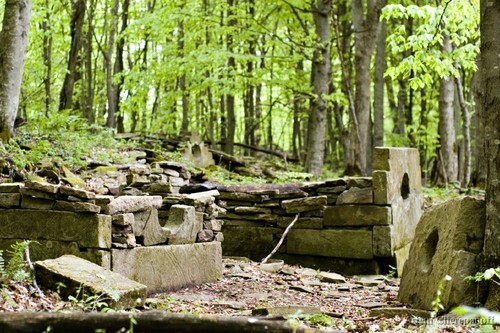 It was constructed in the 11th century though several dolmens are even more ancient - up to the II millennium B.C. Hidden deep in the forest it seems full of mysteries. Caucasian Mineral Waters are the resort cities of the Stavropol territory where people come to enjoy mineral waters in Narzan galleries around the cities, mineral and mud baths and, of course, fascinating views of the Caucasus. Similar to each other, these quiet cities warmly welcome tourists with neat Soviet architecture, good weather throughout the year, small pretty cafes. Visit the local markets for homemade cheese, bay leaf bunches, and churchkhela - the candle-shaped nut candy loved by all the Caucasus. 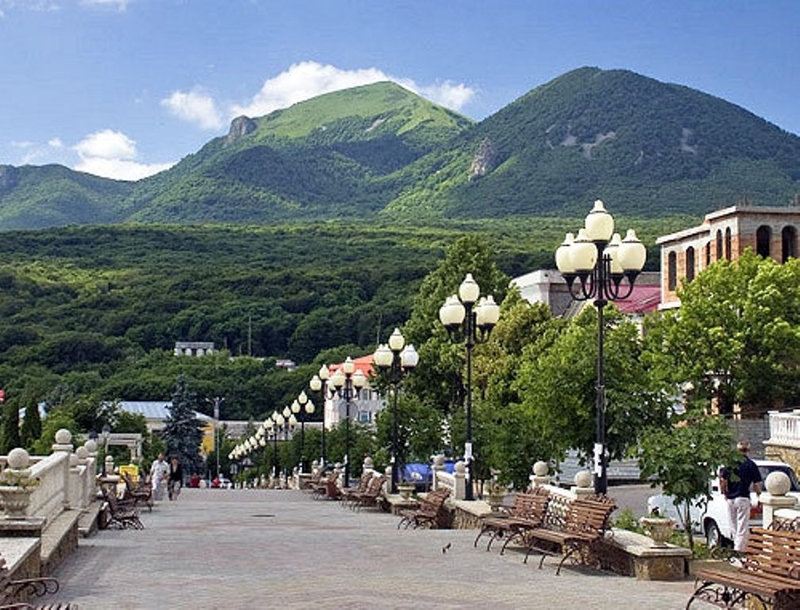 Mineralnye Vody is one of these resort towns, where you will arrive - there is an international airport there. Here you can take a look at the Alekseevskaya mud baths looking like the ancient Roman baths and climb the magmatic mountain Zmeika (“Snake”). 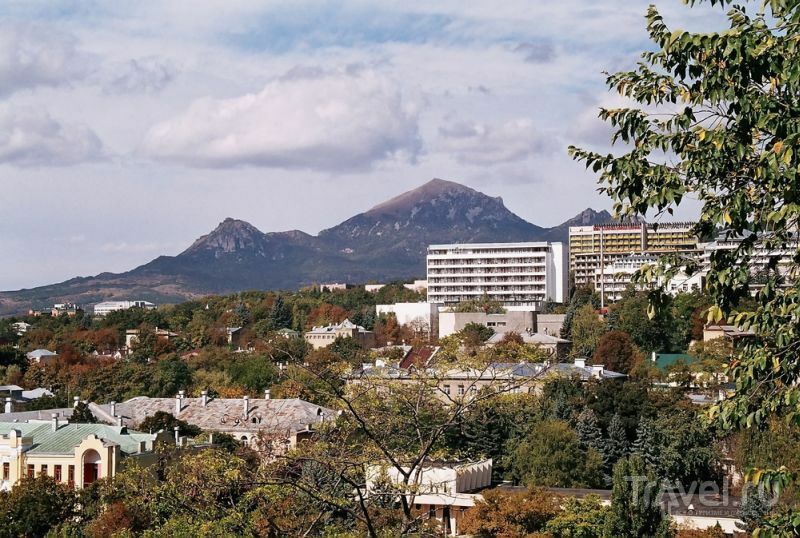 Nearby, in 20 km away there is Pyatigorsk and the five-headed Beshtau mountain - literally "five mountains" in Turkic. If you do not have time to conquer this peak, go up to the neighboring Mashuk mountain to the place of death of the Russian poet Mikhail Lermontov. Among the Russians, Yessentuki is usually associated not only with the city, but also with the most famous mineral water. 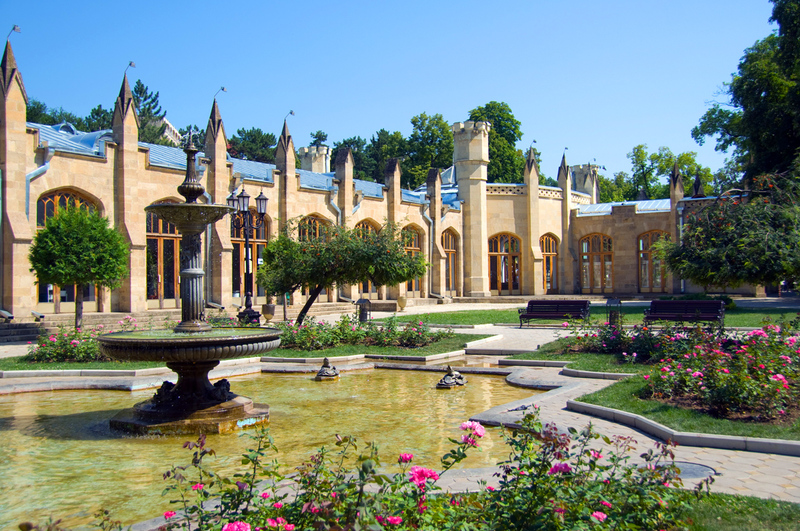 There is the world's largest gallery of mineral waters - a great place to relax and improve your health. Kislovodsk is well known for the giant National Park and where the cable car is launched: the perfect chance to see the whole city. 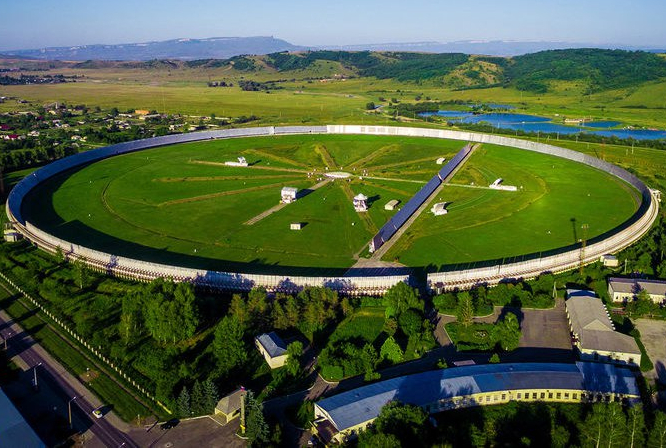 Also, here you will be able to carry out scientific tourism: Kislovodsk Mountain Observatory (Moscow State University) and Solar Station of the Pulkovo Observatory are located near Kislovodsk. 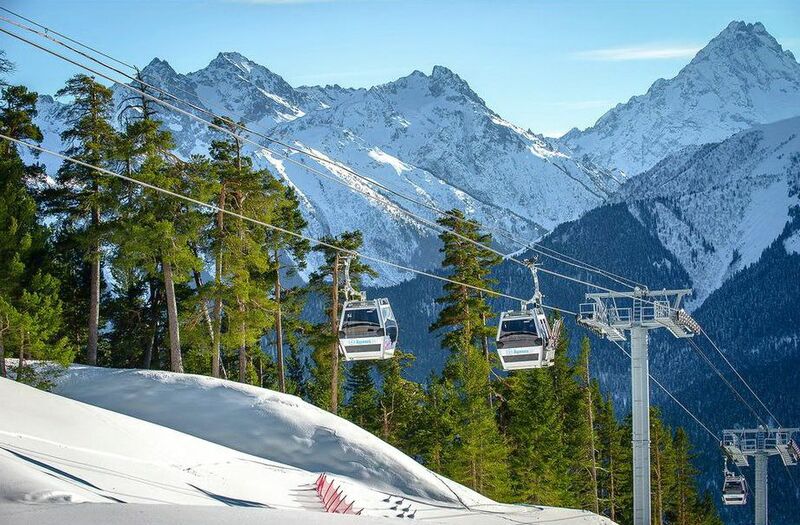 It also offers one of the best views of the snow-capped top of the two-humped Elbrus.